Adrian Coleman (b. 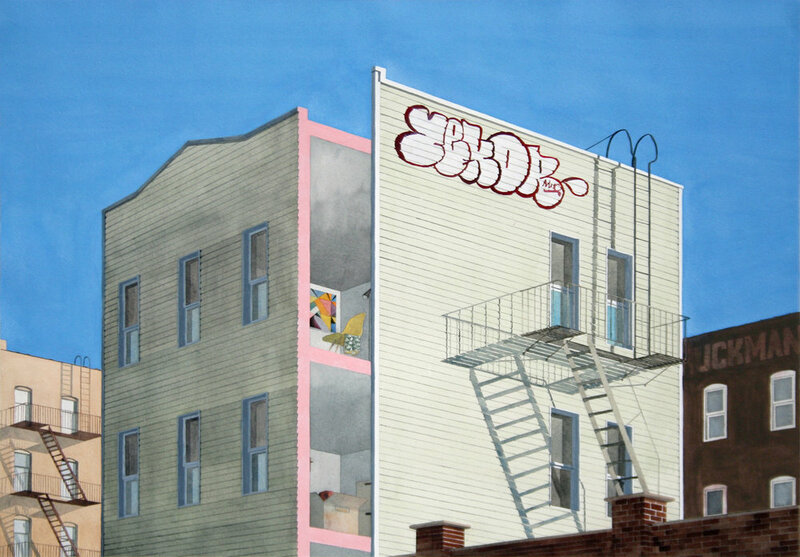 1984) is a Brooklyn-based painter trained as an architect. 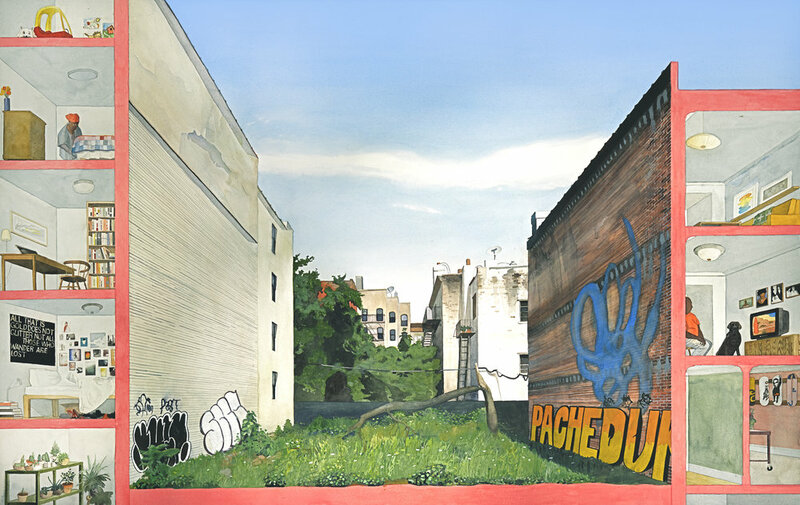 He depicts the city as stratigraphy. 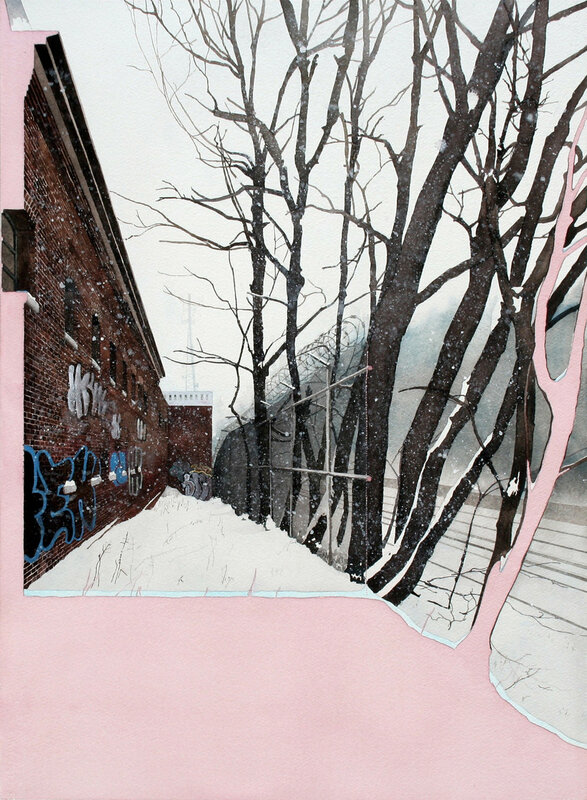 His cross-sectional paintings are landscapes of competing layers and histories: the disjunction of built and natural environments, the friction of classes, the anomalies of gentrification, decay, and nostalgia. 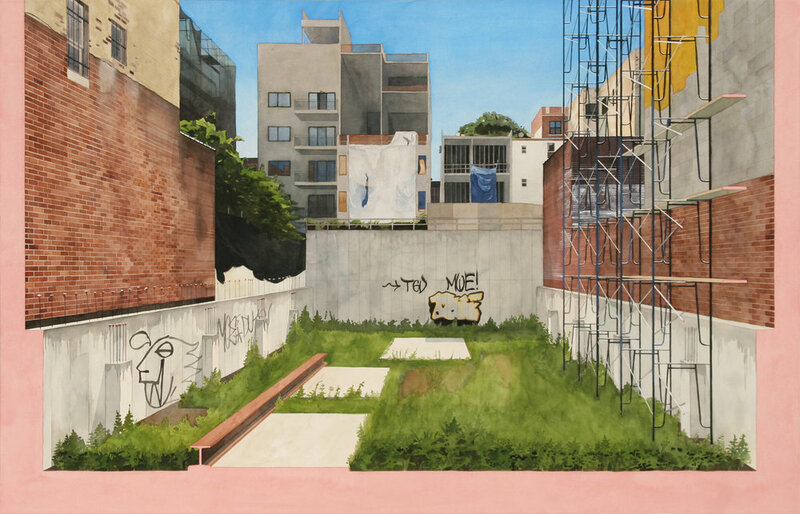 His large scale watercolor paintings refer to the “picturesque” tradition of documented ruins. This historical aesthetic, of patinas and rugged deterioration, has evolved sentimental connotations. The dissections of graffitied and partial construction suggest real and imagined archaeologies.